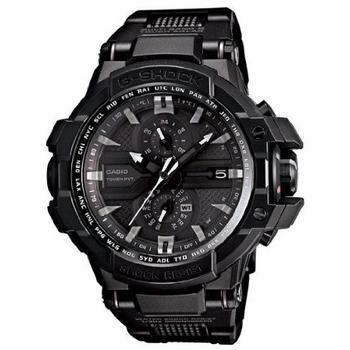 Earlier, we have discussed about one Casio G-Shock’s flagship model, the GWA1000FC-2A. 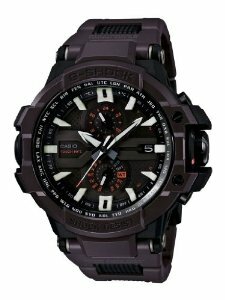 It was earlier released as a sequel to two of G-Shock Aviation’s most popular models, the GWA1000-1A and GWA1000D-1A. 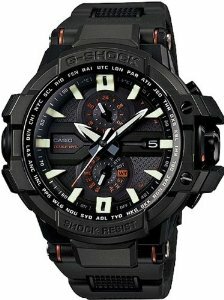 Most recently, Casio officially announced the arrival of the its latest addition to this highly popular and well-received G-Shock series. It is none other than the GWA1000FC-1A. Phew… So many serial numbers indeed. And they are all looking the same. If you are now feeling fuzzy and confused by all the numbers, then you should read our earlier discussion on how to decipher G-Shock serial numbers. 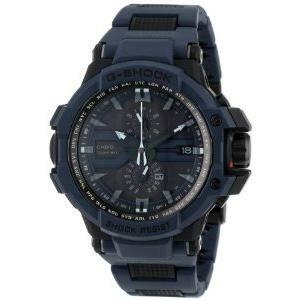 To begin with, the latest G-Shock GWA1000FC-1A is by far a superb tough watch. Being lined up as part of the G-Shock aviation family, you can expect all the toughness that has many aviators coming back for more. If you are an avid aviator and you often find yourself in a free fall, descending towards the central gravity of the earth, then there is hardly any other watch that can outlast the G-Shock aviation models. One spectacular feature that characterizes every aviation collection is the Triple-G Resist. If you are wondering what the triple stands to represent, it is the three most fearful forces on earth namely the Gravity, Centrifuge and Vibration. In order for a watch to earn G-Shock’s Triple-G lable, it has to undergo 3 different extreme tests. Trust me, they are designed to be so extreme it is almost beyond any logical reasoning. First, let’s look at the Gravitational force test. The test requires the watch to resist 15G of gravitational force, which is the maximum level that has been spelled out in ISO 2269. This is the gold standard for any equipments to be considered fit for the aviators. As for the Centrifugal force test, little detail has been provided on the standard benchmark that is being used. Third is the Vibrational test. Japan Industrial Standard (JIS D1601 Class 4A) is the benchmark used to measure the vibration resistance. To be exact, it exceeds the 20G acceleration to qualify something as an in-vehicle parts on 2-wheeled vehicles. Well, all right all right. I know these technical details might sound too much and it can be nauseating for most people. To put it in a more digestable perspective, 12G is the maximum that an aerobatic fighter jet pilot would have ever encountered, 7G was measured during Apollo 16 re-entry and the Formula One (dubbed as fastest jet on land) racer experiences up to 6G. Since the watch requires little introduction to most G-Shock fans, the question that gets asked most often is what differentiates it from its closest predecessor, the GWA1000FC-2A? Well, I can tell you that the difference is more of style than substance. But it is one that is very logical if you think of it. Based on the serial numbers alone, you can easily tell them apart. The serial numbers among the two are identical except for the second last digit. The predecessor is tagged with the digit ‘2’ while the latest addition to the family is tagged with the digit ‘1’. What does this mean? Refering back to our holy grail of decrypting G-Shock serial number, this digit represents the color of the watch. Digit ‘2’ is used to indicate blue color. In the case of the earlier GWA1000FC-2A, it is more of navy blue casing. On the other hand, digit ‘1’ is used to indicate black color. Therefore, in plain simple language, the two siblings only differ from one another in terms of their color build. This is in fact, the main reason why I said it is a logical thing for Casio to release such model. Ask yourself this simple question. If you are asked to choose between a black G-Shock over other colors (particularly ones that are reputed for their extreme toughness), which would you go for? I am not trying to make judgement here. But I believe majority of you would prefer black. If you are, then the release of GWA1000FC-1A definitely brings you every reason to rejoice. According to the official tagline, GWA1000FC-1A is designed to project a more rugged look while GWA1000FC-2A is designed to project a more casual look. So, ask yourself what your preference is. Do you want a tough watch that looks really tough or do you want a tough watch with a more subdued look? NOT WORTH THE PRICE. GWA1000FC-2A CANNOT VIEW WATCH IN DARKNESS OR LOW LIGHT. HARD TO READ HANDS IN LOW LIGHJT TOO. A WASTE OF MONEY.